No one who plans to visit USA as a short-term visitor looks forward to problems due to medical bills and hospital charges while in America, imagine all the stress and financial problems that could go associated with such an unexpected emergency. For this exact reason is why anyone visiting USA or another country such as parents, relatives, friends, business people, and other travelers must de-risk themselves from financial problems with visitor health insurance. The concept of visitor medical insurance for medical protection for visitors outside his or her home country is getting popular by the day. 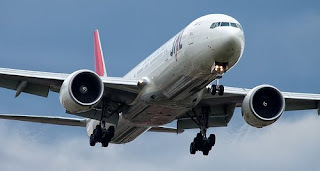 In today's global economy that is always emerging, many folks travel around the world and crisscross continents in a matter of hours by hopping on to a international flight. Visitors insurance coverage is exactly designed for these travelers who want to reduce the medical cost in the event of an health emergency as a visitor in a host country during their travel. Visitors insurance is short term insurance that covers your medical expenses and doctors bills when you fall sick or injured during your travel. Because when you're moving one place to another, there are several factors involved that make you ill, and as we know prevention is better than cure so, you must ensure the cost along with your travel budget before you move. Doing nothing about this risk is not a good idea, and it is good that you try something different and buy visitor insurance. However, before you dash and buy the first plan you happen to stumble upon, be prepared and read up on some of the important things that is relevant to know before buying visitor insurance, thereby making a well informed decision. A good visitors insurance policy has efficient claims system built-in, hence it important to make sure that the insurance plan provider that you select offers complete cashless claims feature. Many times, visitors to USA and other nations are on tight budgets and do not have spare cash to for paying an upfront medical costs such as a hospital bill or doctor charges or laboratory fees, and the submit a claim form and apply to be reimbursed for the claim. Cashless direct billing is a huge benefit that gives you the freedom of just presenting the provider ID cards and accessing medical care, provided you pay any deductible and co-insurance charges that apply. Some of the additional features in any good visitor health insurance plan to review before purchase include checking if your policy offers medical repatriation and evacuation coverage, benefits for common carrier accidental benefit, coverage for sudden dental pain, minimal loss of baggage cover, etc. Take some time to read the plan brochure to evaluate the schedule of benefits table to identify all that is covered in the visitor insurance policy. Another good step to follow is to also read up on the plan exclusions to be prepared for what is excluded out in the said visitor insurance plan, hence you will not have any surprises and rejections for any denied claims later. Finally, knowing that a visitor medical insurance plan is indispensable as a visitor to USA or another foreign destination, you have acknowledged by moving in a step in the right direction. By purchasing a qualified visitor health insurance policy from VisitorsHealthinsurance.com, you have completed that step which gives you access to medical coverage in any visiting country. Have a worry-free and enjoyable visit to America or another nation, knowing that you remain medically protected for health risks for emergencies if and when they should ever crop up.